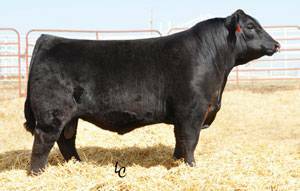 Up n Coming is a full brother to the popular ABS bull, Styles Upgrade. Up n Coming has an amazing amount of thickness and depth of rib, yet still has a great phenotype. The cow power is behind Up n Coming; his dam has 7/113 for IMF and 7/106 for REA with a birth ration of only 90 on 9 progeny. Quality calving!